As popular as box braids are right now, I have found that there is not a lot of detailed info out about how to take care of them or the issues you may face when you have them. As I am about to hit six weeks with my braids and preparing to remove them, I have been reflecting over my experiences and want to share the things I have learned. The first two weeks of having these box braids were terrible on my scalp. It went from tightness, to soreness and irritation, to dry and itchy, the latter of which I probably would be dealing with in the winter time anyway. These are the best ways I have found to relieve all of those symptoms over the past month and a half. When I started taking my braids out the first few days after they were installed, I realized that I had not yet purchased any products particularly for caring for my hair in this style. My scalp was so sore and irritated that I knew it needed something. I found my essential oils: peppermint, tea tree, and rosemary. I mixed a few drops of each of those with about a fourth of a cup of (warmed) coconut oil and voila! It felt so good to rub that into my scalp, especially in the areas I had just taken out braids. I have been using this mix for the whole time now and I will probably continue to use it throughout the winter because it has kept my scalp in such good condition. It is also very easy to make and didn't cost anything since I already had the ingredients around my house. 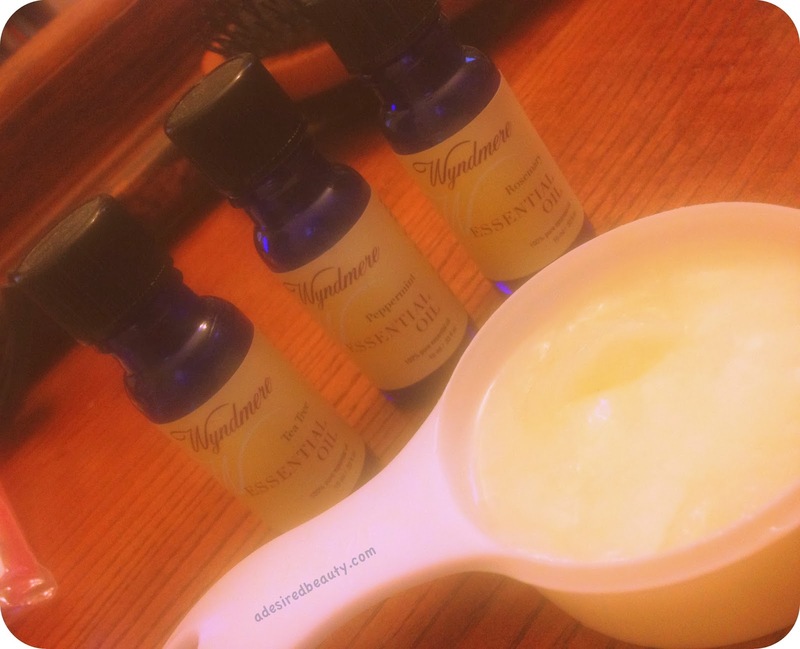 The three essential oils I used are known to be great for scalp health. You will find them in most products marketed for helping with scalp issues. Peppermint oil has antiseptic and anti-inflammatory properties, which help relieve itchiness. It also has the ability to absorb excess oils on your scalp and is stimulating so it promotes hair growth. I think peppermint oil is my favorite. It is a soothing treat. Tea tree oil has healing and antifungal properties. It blends well with our natural hair oils and prevents the growth of fungus on the scalp. Rosemary oil has pain relieving and antimicrobial properties. It is also known to stimulate hair follicles. Pairing this kind of oil mix with a scalp massage is awesome. Scalp massages on their own stimulate the scalp and hair follicles, which increases blood flow for healing and promotion of hair growth. These sprays are kind of fundamental for this style; not just for moisturizing your hair, but also for scalp care while maintaining box braids. Two of the braid sprays I purchased also contained rosemary and tea tree oils. When I felt the dreaded "weave pat" coming on because my head was starting to itch, I often reached for one of these. There are braid sprays that are specifically for moisturizing, scalp relief, itching and tightness relief, and combinations of those. I bought three because I'm a product junkie I wasn't sure which would work best for my hair. One I pretty much used the entire bottle of because it worked so well, another was fine and the thrid I could've completely went without. I have heard a lot about dry shampoo, but never had a real reason to want to try it before these braids. Dry shampoo allows you to clean your scalp and hair without having to wet your hair. Some dry shampoos are powder-like sprays that you just wipe off, while others are more like a gel that you apply and wipe out. The one I purchased was a gel-like, and although I was skeptical about it, I liked the concept of being able to ensure I only had to wash my hair every two weeks by cleaning my scalp in between wash days with this. It works well and my scalp felt fresh & clean enough to last to the next wash day. It was pretty easy to use, too. It didn't take very long to do my whole scalp. If you look close below, you can see the gel just stayed right where I put it on my scalp until I wiped it away. I know people try to resist washing their hair as much as possible when wearing this kind of protective style in an effort to preserve the style as long as possible. However, if you are having issues with your scalp and hair feeling dry, washing your hair might be exactly what is needed. Especially if you've tried every other tip and are still experiencing problems with dryness and itchiness. Product buildup is real and it will prevent your hair and scalp from accepting anymore moisture. Any product you put on will just sit on top of it. You may not have to wash it as often as I did mine, just make sure you are monitoring your scalp and washing it when it needs to be washed. One reason women get braids is to allow their hair time to grow without a lot of manipulation. If your scalp is dirty, has product buildup or other issues, it is not going to be a good environment to promote hair growth. Your hair will inevitably grow, but not like it would in a healthy, clean environment. Plus there are ways you can wash your hair and still maintain a fresh look. Check out how I wash my braids here. You don't have to sacrifice the health of your hair and scalp to ensure your style is long lasting. Great trips! Some of the itchiness is also caused by the braiding hair. The synthetic hair is dyed with stuff most people find irritating to the scalp so to relieve this pre soak your braiding hair whole - get them out of the pack, fill a bowl or sink with water add some white vinegar about half a cup and soak the braids in them for 30 minutes or more once you see a white film form on top of the water take then out and then hang to dry. Thanks Lydz! I didn't think about the hair actually causing some irritation. I guess that could also depend on the type of hair used. 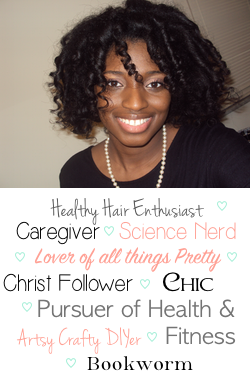 I really liked the quality of hair used for my braids, but that's definitely good info to know! I love to use oil on my scalp to help with the itching. Me too, Nerline. It just feels so good! I just posted about this today! How neat is that. I'm a new believer in jojoba, tea tree and rosemary as a scalp massage. I didn't add peppermint to mine because I didn't want the tingle to cause me any extra issues. That is pretty neat! I have never tried jojoba oil. I will have to check your post out, too. Thanks Divachyk! Great tips! I love the feeling of peppermint and rosemary on my scalp! Thanks KLP! It's so refreshing, right? Love it! That's awesome to hear, Cecilya! I'm so glad these tips worked well for you. The cooling sensation is my fav part! Thanks for sharing! Thank you so much! This is my first time getting braids I haven't even had them for a week and I want to take them out. I will try some of these suggestions. Thanks anon! I hope they worked well for you! I need to do the vinegar soak, but what do you do if you get the braid hair from the shop? I can't imagine them soaking it for you? Also, lavender is a good oil to use as well. It's healing and stimulates growth, prevents hair loss and is a repellant for insects. Think about how many surfaces our heads touch (planes, buses, trains, etc.). I travel a lot so I'm always conscious of the germs my braided hair sweeps us. No, they definitely don't soak the hair for you at the shop. At least not at one I have ever seen. Just another reason why I think it's important to wash the braids yourself. I have never tried lavender, but I will keep that in mind. Thanks, Miss J! Since the hair is already on your head try spraying it with a mixture of ACV and water from your roots to the tips and see if it helps or wash and do an ACV rinse. It may be a reaction to the dye in the hair used for this particular hair since you say you have had braids in the past. If the itching persists then please seek medical help. Eucalyptus and/or tea tree oil can also help relieve the itching. Just add a few drops into another oil like castor, coconut or olive and apply to your scalp. So sorry I'm just now seeing this! Hope the ladies advice was helpful!! I don't wear box braids but I can vouch for hair products that contain Rosemary. One of my favorite sprays has a mix of rosemary and chamomile. I don't use it often but when I do it smells so relaxing. I got braids done a few days ago and my head is pounding with itchiness! I don't want to wash my hair already especially because I have really curly hair and it might mess it up. But I don't know what to do... any help? I had braids put in my hair 7 days ago. The itchiness was driving me crazy, so to no avail I washed my hair. Im glad I did because the hair used for braiding was not washed before installing. Im very sensitive to synthetic hair so the chemicals in it is what was causing my head to itch off. So long story short, I washed, deep conditioned my hair and massaged my scalp with peppermint oil and it feels great! Did you use a regular shampoo or something specific for braids? I am going to try the oils. It's only been three days since I got my hair braided and I cannot sleep due to my head itching. I just got my hair braided and it's keeping me up at night too. I am very eager to try the oil mix. How many drops of each oil did you use? I just got my hair braided four days ago and I'm so close in taking my box braids out because of the itchy scalp. I saw this article about the oils as well as earlier I read how a lot of people are using Apple Cider Vinegar with water, if anyone has used that method please let me know if it works for you. Sulfur 8 medicated grease works wonders for relieVing itchy scalp. I was so close to taking out my $250 box braids after only 3 days. Sulfur 8 got rid of the itching instantly! I had Senegalese twists installed 5 days ago. I was at the poi t of crying my scalp itched so bad. I used the Sulfar 8 braid spray then tried the acv/water mixture and got some relief. But today I broke down and washed them. So far so good. Ive been goung back n forth between Sulfar8 braid spray and acv/water mixture. It must be in my mind because it was feeling as if my whole entire body was itching. Good for healthy, glowing hair.